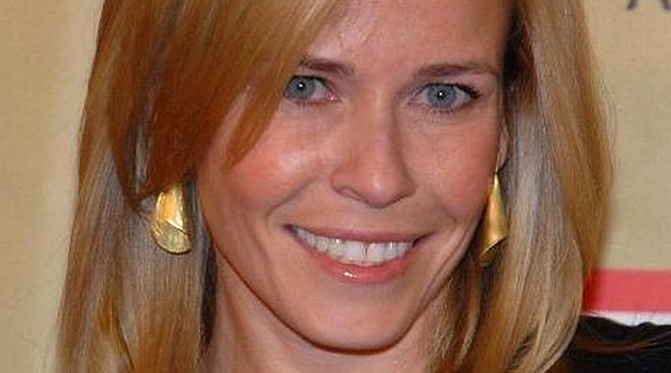 Why would pro-abortion Chelsea Handler tweet something about ‘murdering babies’? It’s a crowded field and competition is fierce, but alleged “comedian” Chelsea Handler may have just secured the title of Most Hypocritical Political Talker in America. Trump could murder a baby and his supporters would argue that the baby’s had it coming. Aside from the typo (not the first time grammatical accuracy took a backseat to her rush to bash Trump), it’s not exactly breaking news that every politician has apologists who will make excuses for every misdeed. What percentage of overall supporters they comprise in Trump’s case as opposed to his opponents is a different question, of course, and it’s a comparison Handler should have probably thought twice about before inviting. But that’s nothing compared to the analogy she used to make her point. “Murder a baby”? When she was typing that, did she forget that she openly, literally, and enthusiastically supports murdering babies? And of course, Handler desperately wanted Hillary Clinton to become the next president precisely because Clinton was such a big fan of murdering babies (so desperate, in fact, that when Clinton lost, Handler tearfully blubbered that it was such a crushing blow due to “sexism” that she had to leave the country—which, of course, she didn’t). So, while I know why it would outrage me if for some reason the president murdered a baby, I have no idea why it would outrage Chelsea. It’s an act she endorses, defends, and celebrates, so much so that to her the only outrage is preventing mothers from doing so. PP rejects Trump’s proposal to stop abortion services. Speaking of abortions, I say we yank this big baby out of the Oval Office. But for the sake of argument, let’s grant that distinction, just for a moment, and go back to Handler’s original “point” (such as it was) about partisans being so in the tank for a president that they’d even give the slaughter of innocent children a pass. There is, of course, no instance of Trump (or any other pro-life president) ever doing something so monstrous, so we have no instance of his supporters defending it. But say, didn’t the guy who lived at 1600 Pennsylvania Ave before Trump do something like that? Why yes, as a matter of fact, he did! As you know, as an Illinois state senator, Barack Obama repeatedly voted to allow hospitals in the state to leave infants to die after failed abortions. Fully born and fully separated from their mothers, these children were living babies not just according to modern medicine, but according to Handler’s own criteria as well. And Obama sided with allowing them to be killed. Q: What do you think the role of your show will be during a Trump presidency? A: First and foremost, I’m a comedian. But also, we have to hold him accountable. And we have to make fun of him, just like you’d make fun of anybody who was president. Obama was boring in that sense — there was nothing to make fun of because he was so responsible and such a leader [emphasis added]. Oh, Obama. Thank you from the bottom of our hearts for showing us what a thoughtful leader looks like. I’m glad to have witnessed you. There’s one thing you have to grant pro-abortion zealots: what they lack in ethics, honesty, consistency, and overall basic human decency, they more than make up for by being really, really bad at hiding it.